​The American Academy of Pediatrics offers new guidance on diagnosing and managing serious infections in infants born at less than 34 weeks gestation and those born at more than 34 weeks of gestation in two clinical reports published in the December 2018 issue of Pediatrics. The reports are titled, "Management of Neonates Born at ≥35 0/7 Weeks' Gestation With Suspected or Proven Early-Onset Bacterial Sepsis" and "Management of Neonates Born at ≤34 6/7 Weeks' Gestation With Suspected or Proven Early-Onset Bacterial Sepsis." 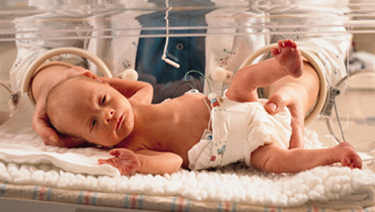 The AAP reports note that most preterm infants born with a very-low birth weight are treated with antibiotics shortly after birth because of the risk of early-onset sepsis, a serious, often fatal infection that begins in utero or during labor. But research shows that antibiotic exposure after birth also is associated with poor outcomes for some infants. The clinical reports offer recommendations to physicians on how to identify babies most likely to develop early-onset sepsis, based on their gestational age, circumstances of birth and other factors, and addresses the use of multivariate sepsis risk models in clinical care. The reports also examine the value of commonly used laboratory tests and how to weigh the risks and benefits of administering antibiotics to prevent early-onset sepsis.